“As guides, we do this every day, so we tend to take it for granted, but to our visitors, it’s a once-in-a-lifetime experience. Our customers are the star, and we are their entourage.” This is the mindset of guide Manabu Ishii, who strives not only to provide an enjoyable experience for customers with every tour, but to show how much fun coexisting with nature can be. 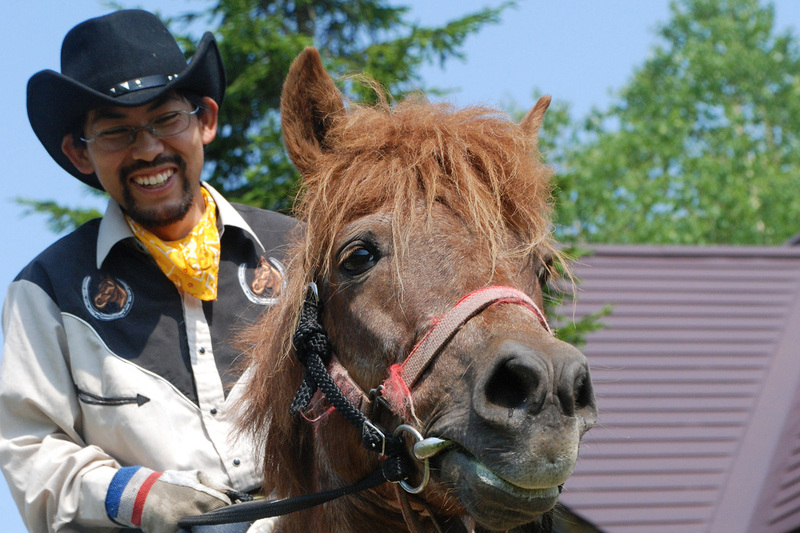 Born in 1975, Mr. Ishii was involved in equestrian sports throughout high school and college. 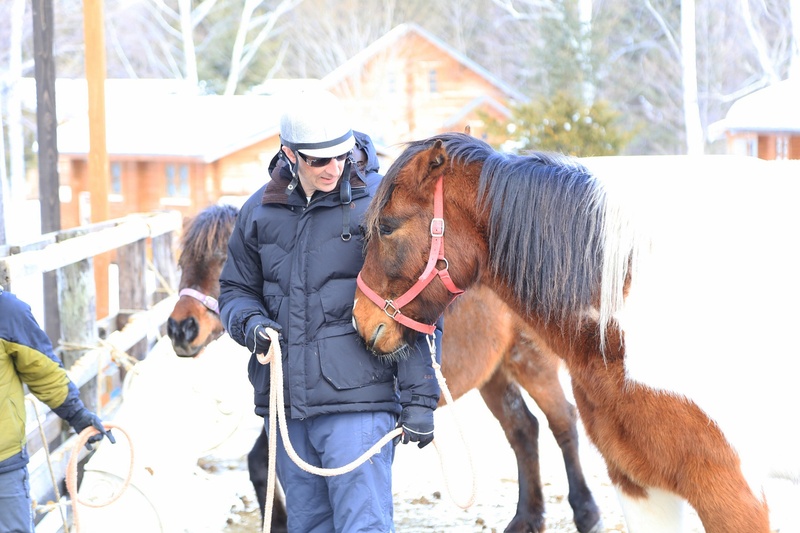 He now works as an instructor, making riding fun for visitors. When most people hear "horse trekking", they picture a trot through the forest or fields. Mr. Ishii's tour offers much more than that! The 3km trail leads from the forest to the lakeside, along the national highway and through pastoral scenery, before returning to the forest and lake. Almost no two parts of the tour have the same scenery. The trek through the forest is an experience for all five senses, with the scents of the forest and water and the warmth of the sun. When riders reach the lakeside and see the beautiful, mirror-like surface of the water, they tend to be lost for words. Mr. Ishii is happy to share this moment of amazement with them. During each trek, Mr. Ishii tells the tourists about his gratitude for nature. Sometimes people ask him whether the horses trample the roots of trees and grass and prevent them from growing. In fact, the tracks of the horses sometimes create an animal trail that widens the ecosystem. 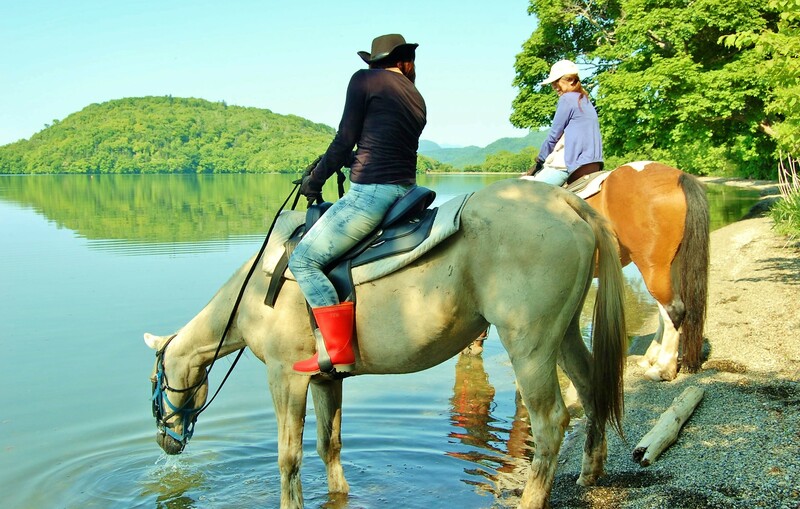 Keeping horses has made Mr. Ishii aware of how various ecosystems are connected, and he says that he works as a guide because he wants to keep protecting the forest and lake where he is fortunate enough to ride. After the trek, tourists often want to keep looking at their horse or spending time with it, reluctant to say goodbye. 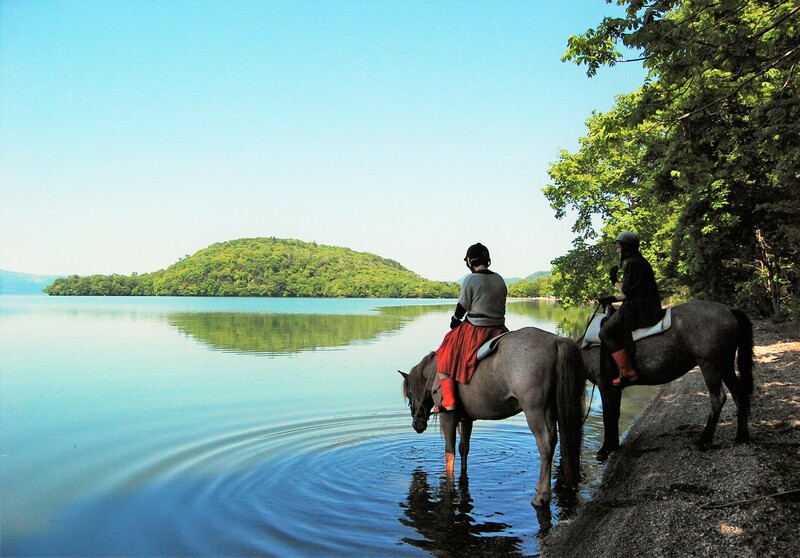 It reminds Mr. Ishii of the connection between the horses and the area's nature and between the horses and the tourists, and it warms his heart to see it.